Christmas music is everywhere and for some people it seems to be starting earlier and earlier each year. Memories of ‘Christmas Past’ flood back during the first bars of “Rocking Around the Christmas Tree” and for some a happiness chord is struck, joy is released, a lightness that wasn’t there before settles in for the month……whereas for others – Christmas music brings on different feelings. Some people hear Christmas music and feel immediately agitated and annoyed. They quickly reach for the wine bottle and crank up their favourite rock album. Then more seriously for others, Christmas music is played, tension is immediately felt, and a deep ache of grief and loss replaces what was once felt as fine. Due to music’s very nature it triggers feelings effectively and quickly. Music can definitely benefit us greatly, but there is no question music can also make situations and seasons feel more challenging and painful. 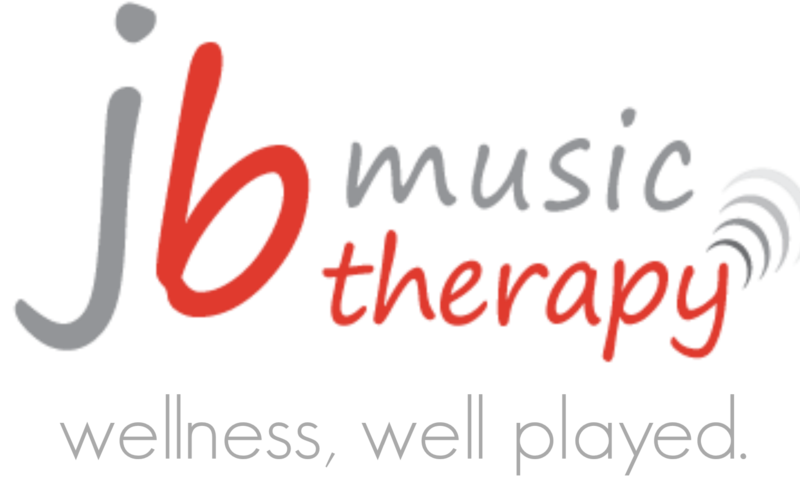 Music’s capacity to trigger memories is one of the core tenants of music therapy. It drives a lot of the Music Therapist’s treatment design. Music, when used with the right intention, with a certain amount of frequency and intensity, has the power to take individuals from feeling totally lost, to feeling comforted and less alone…and even so much more. It’s a great time to introduce new music into your personal soundtrack. With today’s technology and the ease in which we can listen to music on demand, it is a great time to introduce yourself to brand new music, to massage your auditory cortex and your imagination. Music stimulates creativity by increasing blood and oxygen flow to the brain – going from sleepy brain to stimulated brain. We often feel our most happy when we we embrace our creativity and music can help us get there. Listen to seasonal music with no lyrics and perhaps a new rhythm. If you are a Non-Preferred-Christmas-Listener (NPCL) but your mom is coming over to bake her best shortbread, may I suggest trying Christmas music with no lyrics and a new beat (ie. Christmas Reggae). Music has the capacity to change our emotional state. Changing a negative or resistant emotional state is at the root of getting into a positive, productive state. During cookie baking season this can be particularly helpful. Listen to music that soothes you and that can help you de-stress during a high stress season. The right music relaxes the mind and lowers cortisol levels – lessening stress. When used intentionally, there is ample evidence to suggest music can make a difference in lowering anxiety and reducing your stress. Some research suggests that 20 minutes of listening to music that soothes you equals 10 mg of valium. Use music to feel connected to those you are not able to visibly spend time with . Music is a powerful anchor and roots people into the moment, helping their memory to maintain important data for later, and helping them feel more connected to those they care about. Music can boost memories while allowing our brain to access its reserves and remember important events and information. Socialize to your favourite music of the season – whatever that may be. Music inspires us – and creates a clear passage to health. Take time for live music (making or watching), singing together and enjoying one another’s company through music. No one says we can’t create new, more positive memories for future years to come. For those that are feeling overwhelmed, struggling to face the season, feeling deeper and deeper in a state of sadness, anxiety, hopelessness, worry or guilt – it is really important that you talk to someone – a counsellor, therapist, nurse, doctor. This life is tough to get through alone.